If you search the web for the words ‘hunger’ and ‘hope’ together, you will get a hundred and fifty four million hits. The idea has gained currency over the years that not only does the food we provide fill bellies, but that we are also offering something else, something that will not break our programmatic budget to provide: the ‘hope’ of a better day tomorrow. Please, hold your snowballs to my face until the end, because in this special holiday cheermeister edition of ‘From Hunger to Health’ I want to briefly question the benefits of trading so freely in ‘hope’, as we turn to looking at shortening the line for our services, and avoiding the institutionalization of ’emergency food’ as a handy alternative to paying people enough money to live on. 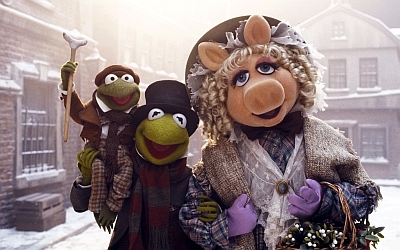 First, hold my hand and fly through the chilly winter air, avoiding the Amazon drones, and let us alight in a town and peer through the brightly-lit windows of two food distributions. One is a standard ‘Come, Wait, Wait Some More, Take your Bag and Go’ distribution and the other is a distribution that offers wrap-around or holistic services. The sights we see are very different, as we will see as we tamp the snow off our boots and go inside. Yet, what is this? 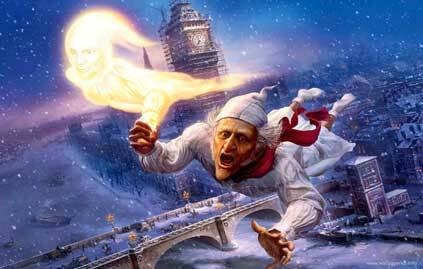 Before we can enter, the ‘Ghost of Foundation Cash Yet to Come’ taps its boney finger on our shoulder and commands us to “E-VAL-U-ATE” in a deep and terrifying voice. “Okay”, we say back to him, “You want us to evaluate our programs and those of our partners? 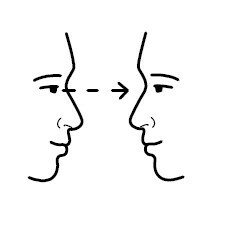 Here is a metric that is way more sophisticated than any that could be developed by the boys and girls at the ‘Stanford Social Innovation Review.’ It is called eye contact.” This simple (and quite literally) straight-faced test measures the amount of eye contact the programmatic interaction elicits from clients. We actually did this test last week on two programs a few miles apart in our service area. At the standard distribution, virtually no one met your eye when they could avoid it and wanted to get away as quickly as possible. At the other, one of our Healthy School Pantry programs where we are running what is for all intents and purposes a ‘health fair’ with a lot of activities and opportunities designed to build community, we saw a much different picture. People were generous in their eye contact saying how much they were enjoying being there and appreciating learning and being a part of something where they felt empowered and valued as equals. But you’re giving them hope too, I hear you say. What’s the difference? Let me begin to answer that question by looking at the national perspective. We can offer people the solid reassurance that we will fight to protect their meagre food stamps and commodity benefits from more punitive cuts. Yet, we certainly can’t offer the real hope that people are crying out for: a society where working hard at a job will enable you be able to feed and provide a roof over the heads of your loved ones. We know from our work that more and more people cannot earn enough money to support their families without help from the food bank network and its partners. People run faster and faster on the hamster wheel of low-pay, no-benefit jobs. If we continue to apply the current strategies, it is hard for me to see the ‘hope’ for anything beyond endless SNAP wars, more companies expecting food banks to cover the tab for their food insecurity-level wages and the growth of the ‘hunger industrial complex’ to keep the whole mess from boiling over into civic unrest. Sorry to be such a downer in this season of ‘Goodwill to All men’, but I have enormous respect for the hardworking families we work with, certainly enough to want to level with them. I think when they said “Goodwill to all Men,” they didn’t mean it quite so literally, that we’d all end up shopping at Goodwill because we that was all we could afford. I don’t believe I am being fatalistic or even negative. I’m not noble enough for lost causes and so I am sincerely convinced that we will end hunger in America and become a more equitable and healthier country. It’s just that I’m not getting any younger and I’m impatient about waiting millennia for it to happen. 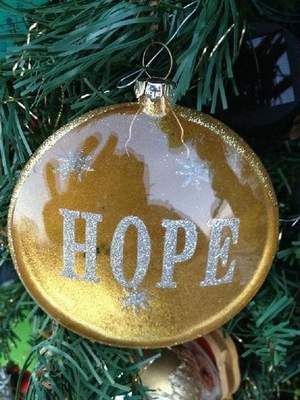 So why should our daily ‘hope distributions’ be slowing this process down? 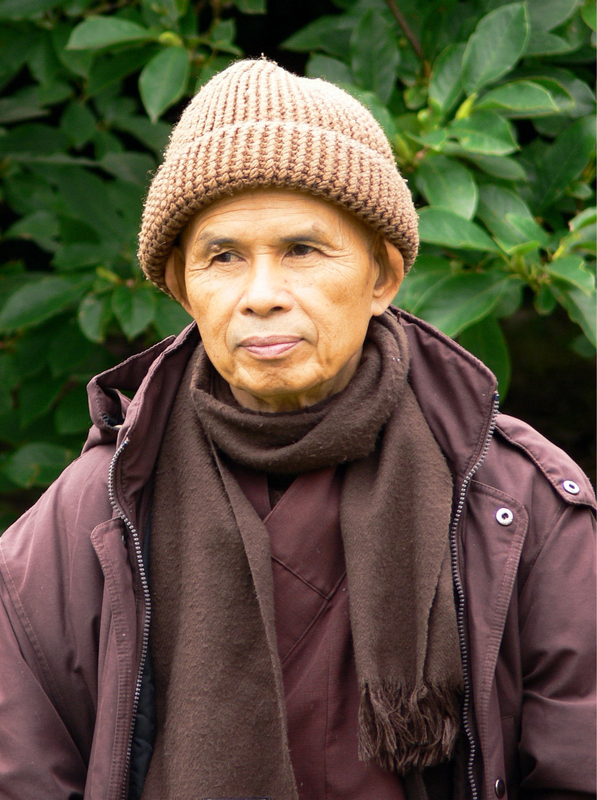 Thich Nhat Hanh rocks the wooly hat. “You think this is a Gap ad? Let’s talk about the gap between happiness and forgetfulness??? This is, for me, the danger of focusing too much on ‘hope’ rather than action to transform our society in the present moment. I am not talking about it in a literal, mean-spirited fashion that we should promote hopelessness. We want to give joy and love in everything we do. However I am advocating every day we focus on real change and the actions required to make that happen. Our organizations, because we are concerned with the most basic tool (food) that can sustain and help and bring people together, can play a huge role in leveraging this change. 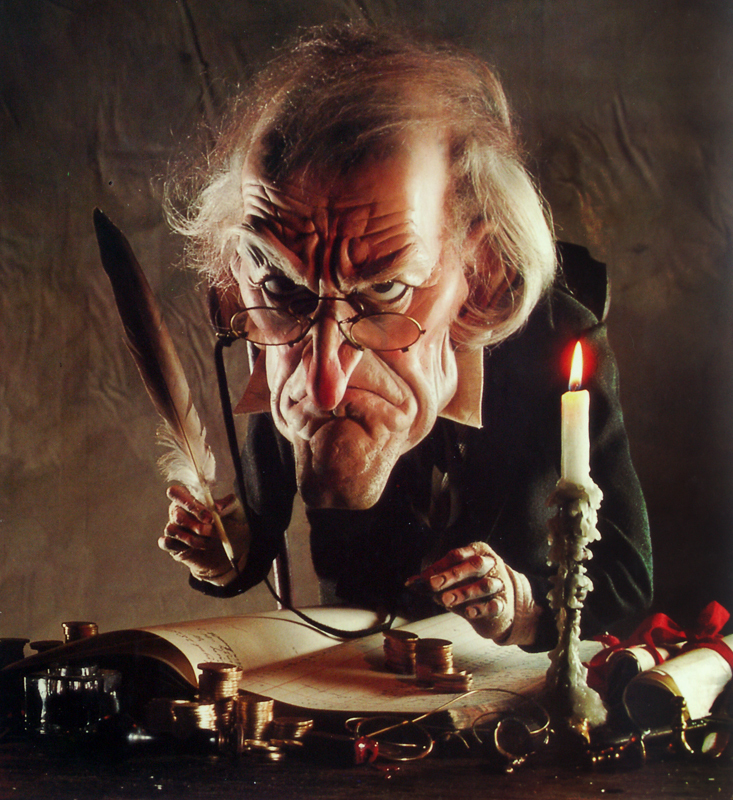 Have a wonderful Holiday season, and heartfelt thanks from Scrooge to everyone working to build food security in the USA.